Researchers at the Smithsonian’s National Museum of Natural History have discovered that early humans were less primitive than we originally thought. According to a new study, early hominids were able to create tools and adapt to their environments. Previously, archeologists had thought that hominids like Australapithecus, which lived between two and four million years ago, were far less advanced than early man. They believed that the first time humans began to act and look more like modern day humans was about 2.4 million years ago, when early species like Homo Erectus started developing a larger brain, longer limbs, and began making tools. However, new evidence has surfaced that suggests that all of those things actually started happening one millions years before. “Traits once thought to define early Homo, particularly Homo Erectus, did not arise as a single package,” said report author Dr. Rick Potts, director of the Human Origins Programme at the Smithsonian’s National Museum of Natural History. “Some features once considered characteristic of Homo are found in Australapithecus. Potts went on to say that these human advancements did not all come at once, but instead came little by little over many years. This means that hominids before Homo Erectus probably began thinking in more advanced ways, such as learning to make primitive tools. “Characteristics that we have traditionally seen as indicating Homo are in fact around much earlier, so early humans were less primitive than we thought,” Potts added. Potts and his team looked at new fossil and climate evidence that actually indicates humans began developing longer limbs 3.9 million years ago. The earliest evidence for tools dates back to 2.6 million years ago, hundreds of thousands of years before the first Homo genus was recorded. The researchers also found that Australapithecines had a diverse diet that is normally associated with later species of man. This indicates that they were already learning how to adapt to different climates and environments. The fossils also indicate that hominids had brains very similar in size to the brains of early humans. Prof Chris Stringer, of the Human Origins Group at London’s Natural History Museum, said: “It is certainly true that what we consider as ‘modern’ traits seem to have been assembled piecemeal in Africa over a long period of time. 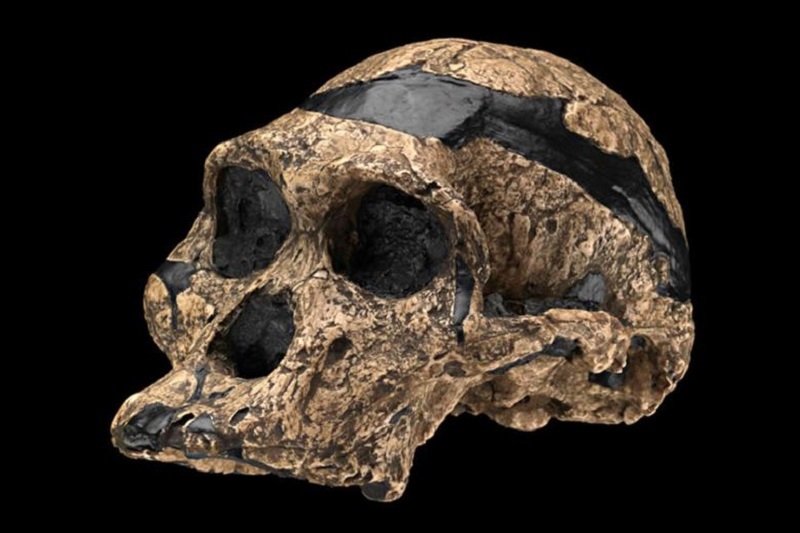 “The traits shown by Australopithecus sediba in southern Africa show that conditions were driving the evolution of human-like features in parallel in different regions, and potentially at different rates, around 2 million years ago. “I think that the development of tool-making and carnivory could have spread across different australopithecine populations and even species across Africa, catalysing comparable evolutionary changes in anatomy and behaviour, including increasing brain size and complexity, greater terrestrial mobility, and a reduction in the size of the jaws and teeth. More research will need to be done on early humans to get better a grasp of how advanced species before Homo were. This will better our understanding of humans and the evolution of humans, explained Dr. Potts, and will provide valuable information about our ancestors. Ebola virus: Can West African Nations stop deadliest ever outbreak from spreading? Good question. I think so, yes. DNA provides the structure for how we have adapted to our environment of the millions of years, through ice ages and warming periods. There is no reason to think that our DNA is ‘set in stone’ now. I believe our DNA will continue to describe how our physical character changes over the millennia. So, we are talking about six or even eight different species of men, all going at it full out with sticks and stones in the trackless forests primeval for hundreds of thousands of years. I hope reincarnation is real.